I did not know this existed until today. 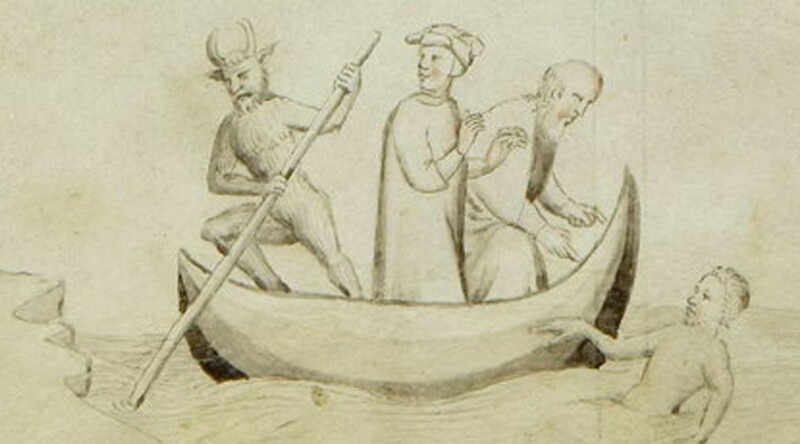 I knew that Giovanni Boccaccio (1313–75), author of the Decameron, admired Dante Alighieri (1265–1321). I knew Boccaccio had written a short Life of Dante, and I even knew that Boccaccio had studied Dante’s work intensely and lectured on his poetry. 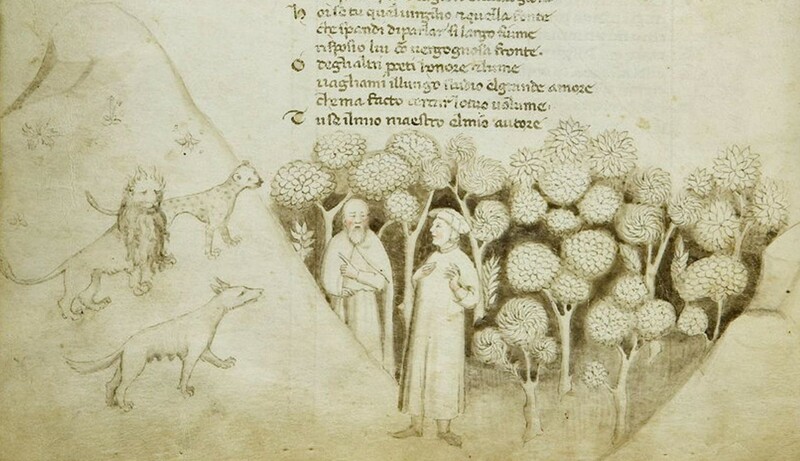 But I didn’t know that Boccaccio had written out a manuscript of Dante. And I never imagined that he had drawn a half dozen little illustrations in the extra space on the pages of the Inferno. And that the manuscript still exists, that we have it, that people living now can go see it. 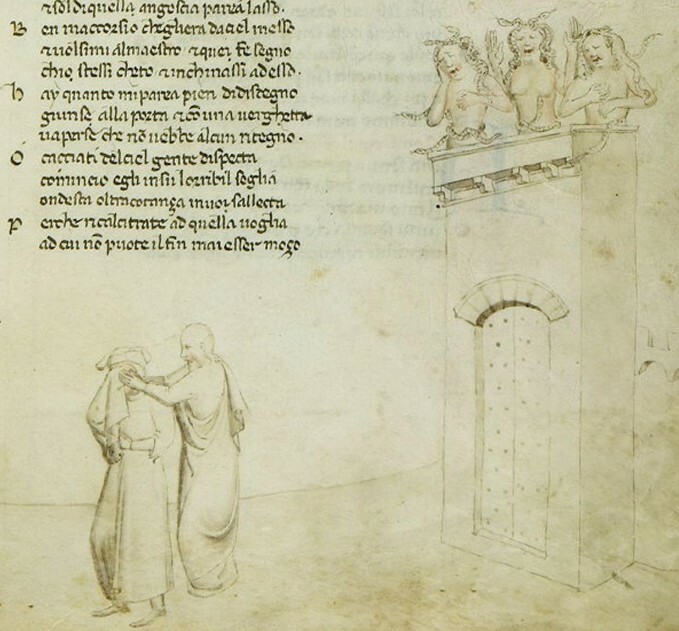 The drawing above, the opening scene of Inferno, is the most elaborate and polished of Boccaccio’s marginalia. 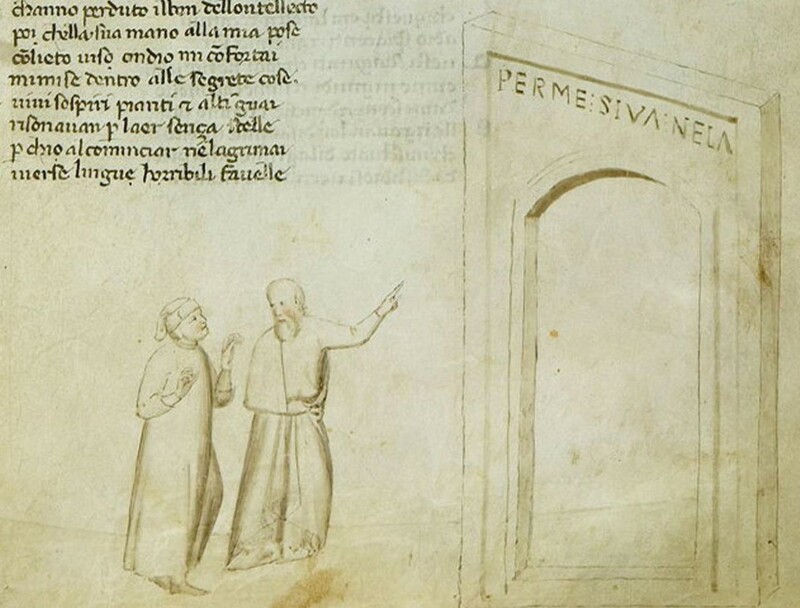 Click on through to the display of the manuscript held in the Riccardiana Museum in Florence, though, to see them all. You’ll want to know they’re on pages 16, 21, 28, 37, 41, 48, and 65. Here are glimpses of them.